Toast is delicious in the morning, but let’s face it, it’s not always the funnest idea to stick a piece of bread is a fiery hot device then try to pry it out without burning yourself – all while you’re still trying to wake up. Why bother dumping bread into a hell pit anyway? 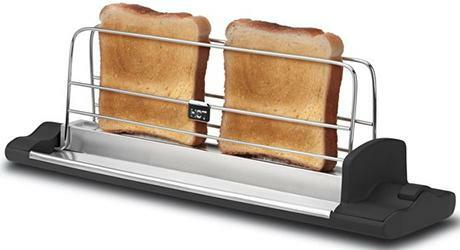 This sideway toaster makes way more sense. The Arzum Firrin toaster converts a traditional toaster on its side, so you can insert your carb-loaded breakfast in horizontally and safely pull it out when it’s done. Winner of the 2012 Design Turkey award, the sliding tray allows you to fit in various items of all sizes – bagels, biscuits, english muffins, just name your dough. 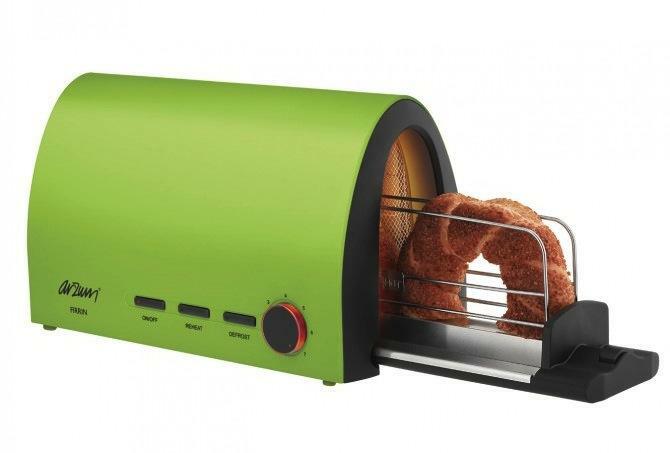 Like most traditional toasters, it also has seven levels of power in additional to a reheat and defrost function. The sliding tray makes it easier to check if your dough is done. Instead of waiting for the bread to pop out up top and sticking it back down if it’s not brown enough, you can just slide it back out and look at both sides. An added feature is the tray’s ability to catch crumbs as items go in and out of the machine, making clean-ups more intuitive when you can see where all the little bits go. 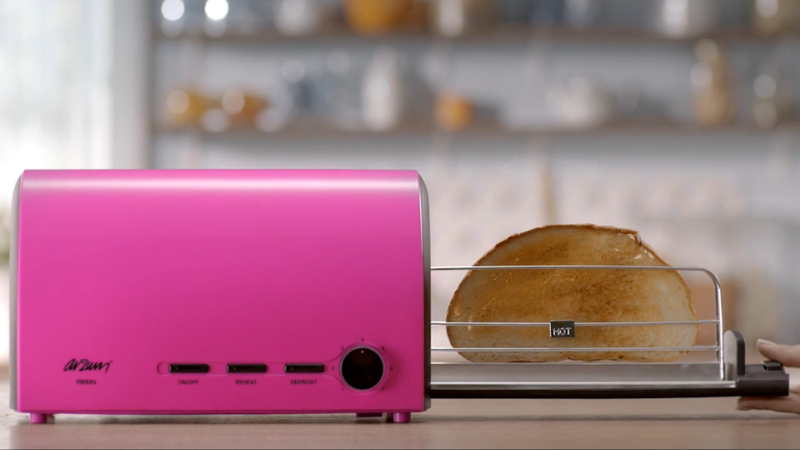 The Firrin toaster also has an auto-off button, too, in case you accidentally skip turning off the machine and go straight to jamming up your toast. For $72, it may not be the most affordable gadget for the kitchen, but it’s quirky, fun, and comes in four bright colors to match your home. And let’s admit it, this thing is adorable.